And at that point the story kind of goes over the top as far as I’m concerned – not quite as believable as it should be. And then it gets predictable. Martini is a competent writer with an occasional paragraph of brilliance. It doesn’t save anything. Bergmann is a great reader – that helps. 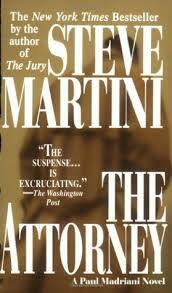 I’ll likely not read anything more by Martini – too many really good ones out there.